This comprehensive 2-day course offers a didactic and hands-on review of the management of wisdom tooth extractions. Please note that it is recommended that you have experience with extractions. This course with Dr. Koerner is a rare opportunity to study and learn more about the nature of impacted third molars. It involves when to do them, how to do them, and how to have it go smoothly. Complications can be an issue with this surgery. Much of the success with this procedure is from using the right instruments, handpieces, and burs. Proper access and visibility is essential. It is important to see the whole operation in perspective considering all the various aspects mentioned above. The hands-on portion will include removing several different types (angulations) of third molar impactions, both maxillary and mandibular. Hands-on exercises will be performed on multiple custom models designed specifically for this course. Attendees will be able to take these models home at the end of the program. Dr. Koerner will lead a special in-depth discussion of attendee cases. Attendees are encouraged to bring 2 cases with x-rays to discuss during the course. This is a great opportunity to discuss complicated cases with a world renowned oral surgery educator! Diagnose and determine the difficulty of impacted third molars being considered for removal. Have the instruments, equipment, and supplies necessary to perform this procedure in the most efficient manner. Perform this procedure with more confidence and proficiency than before attending the course. Do this type of surgery with minimal, if any, complications if it done in the ways outlined in the presentation. Understanding of fees and insurance. Dr. Koerner has presented hundreds of didactic and participation oral surgery courses at all the major U.S. meetings, at the state level, and internationally. His hands-on courses use life-like models on which participants do several different surgeries. 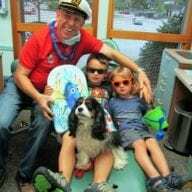 He is currently Clinical Director of Oral Surgery at Intermountain Dental Associates in Utah. Dr. Koerner graduated from the University of Washington School of Dentistry, completed a general practice residency in the U.S. Army, and a Masters Degree in Education. Though not an oral surgeon, he has practiced oral surgery only for the last 16 years. Dr. Koerner is the author of many articles on various aspects of oral surgery for the general dentist and has authored and co-authored several books. He has been featured in DVDs for the profession including three made with Dr. Gordon Christensen on difficult extractions, third molar surgery, and medical emergencies. He is past president of the Utah Dental Association and the Utah Academy of General Dentistry. He has organized and conducted many humanitarian trips to China (patient treatment and teaching other dentists) since 2006 and speaks fluent Chinese. 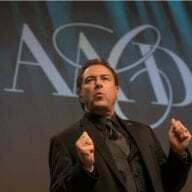 At the 2010 National AGD Meeting he received the Thaddeus V. Weclew Award for his contributions to General Dentistry and continuing education. "Very well presented. 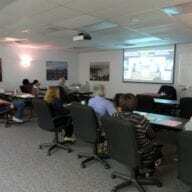 In depth, practical information with numerous visuals and evidence based information"
"I found the course, the facility, the staff and Dr. Koerner to be top rate. High level camaraderie and education. So much fun to learn in this environment"
"Very informative. All the details covered. 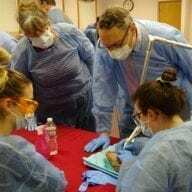 Made me confident to start working on wisdom teeth"
"This course is invaluable for general dentists who serve public health rural or isolated populations and need to take oral surgery skills to the next level to serve their patient pool"
"Great content, unique hands-on experience. Dr. Koerner is very knowledgeable." 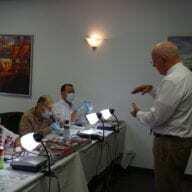 "Excellent course and refresher to remind me of the principles of tooth extraction and refine my skills"
"The Oral Surgery and Wisdom teeth course taught by Dr. Koerner has opened doors of opportunity for my patients' and myself. Currently, I hold a position with a large private practice and I'm able to do wisdom teeth extractions and even more surgical extractions atraumaticly. The 3rd molar and Oral Surgery course opened a world of opportunities that I never dreamed of! Dr. Koerner presentation style is easy to follow and fun to learn. I would strongly recommend the courses to all practitioners."